My entry shows my coming to realisation and coming out as a trans man. 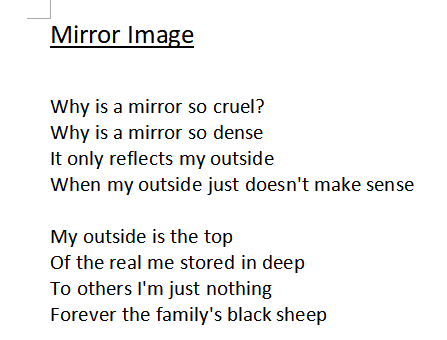 It gives a metaphorical speaking to the term "mirror image" and how trans people are perceived in life. Why can’t humans and creature live as one in a united world?